Reducing waste for the Chancellor's Sustainability Challenge requires building awareness and educating yourself and others. 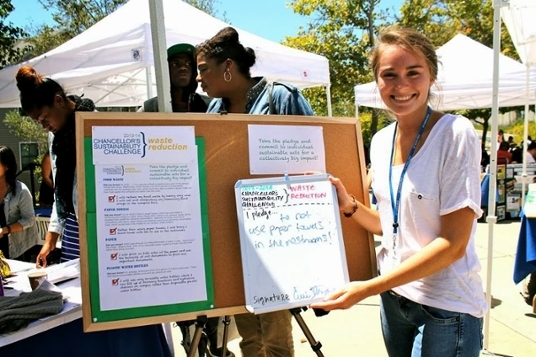 The Chancellor is sponsoring an Impact Award, which includes a cash prize of up to $300 and recognition by the Chancellor for implementing a project or experience that raise awareness about the need to reduce waste at UCSC. More information, ideas, and award details are available here.